Welcome to All Saints Church - where small is beautiful! We're a friendly, active rural church serving two villages, farms and hamlets. We are committed to Church in Community, exploring ways to share the love of Jesus, from barbecues and barn dances, to flower festivals and concerts. Church services include monthly Holy Communion (Common Worship), lay-led Morning Praise, and celebration of major Festivals. We have a small enthusiastic choir and new members are always welcome. Are you a bell ringer - or would you like to learn? We practice on a Monday evening when anyone is welcome to come along and have a go. Church events also take place in the Parish Hall (available for hire) at Great Thirkleby, a few hundred yards from church. These include a monthly Soup & Pud fellowship lunch (usually 3rd Tuesday of month), and a 1st Saturday of the month Mens Breakfast (rotating round other parish halls in the Benefice). 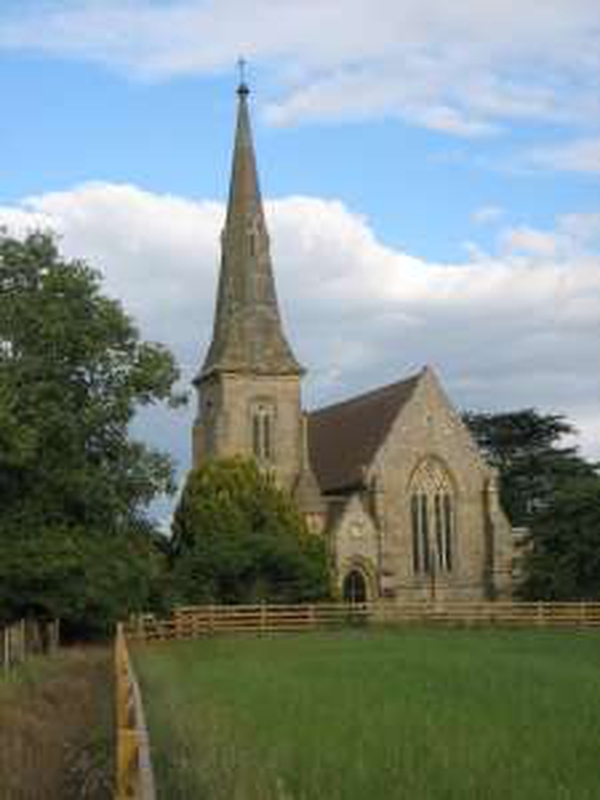 All Saints was designed by the ‘rogue’ Victorian architect E.B.Lamb and built in 1851 by Lady Frankland-Russell of Thirkleby Park in memory of her husband. There are several Frankland memorials & other monumental inscriptions in the church. Surrounded by fields, with part of the churchyard a sanctuary for wildlife (YWT Living Churchyard scheme), it provides a tranquil place to be. A public footpath goes through the churchyard, linking up with scenic walks in the area eg: to Coxwold, Kilburn, the White Horse and beyond. THIRKLEBY PCC WERE PLEASED TO BE INVOLVED IN SUPPORTING 18YR OLD KATY HOGG, WHO WAS SELECTED FOR A RALEIGH INTERNATIONAL TRIP IN FEB. 2014. KATY HAS WORKED WITH THE SUNDAY GANG YOUTH GROUP.